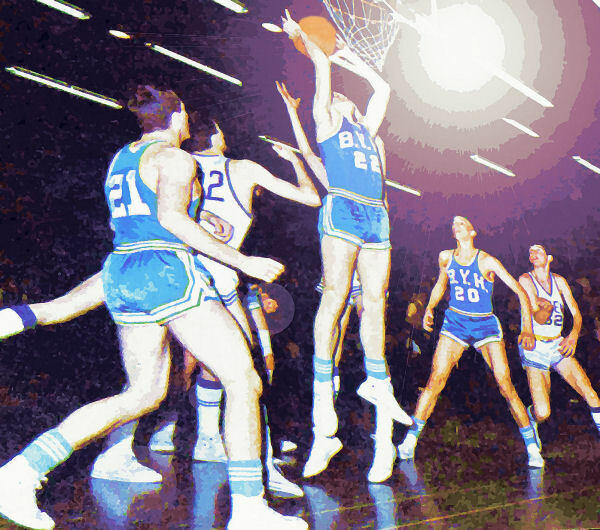 BYH defeats Provo High, State Tourney, 1964-65. When I was a sophomore in high school	in the autumn of 1964, BYU was completing its new football stadium. It was a massive, state of the art, grey steel structure that could seat over 45,000 spectators. It was impressive to stand on the track, and see that the beautiful grassy field was molded so that the middle was slightly higher than the sides. The black rubberized running track was soft and springy to walk upon. The west stadium was filled with seats with comfortable backs rather than simple benches, and media booths were located at the top, above sixty-five rows of seats. The home-team locker rooms were under the east bleachers, and the away-team lockers were under the west bleachers. Both facilities were top of the line, with the best and most modern features. Shiny ceramic-tile walls surrounded polished cement floors. The lockers were spacious and clean. Shower rooms were set up with beautiful stainless steel faucets and accessories. The training rooms provided whirlpool baths, and included the best in player maintenance equipment. In addition to its regular university uses, the place had been completed in time to host the 1966 National Track and Field Championships. And it was ours, too. Like everything else at Brigham Young University, this stadium also belonged to the students of Brigham Young High School, because we were an extension of the University. Our 400 students (grades 7 through 12) that filled the halls of BY High, plus our parents, brothers and sisters, plus the faculty and staff of the school, and their families, all combined, couldn’t fill even one of the twenty four sections of the west bleachers (not to mention that one-fifth of our student body was out on the field). But it was our home field. This was where the BYU Cougars played teams like Utah, and UCLA. National commentators would come here to laud the beauty of our valley, and praise the qualities of our culture. All-Americans ran on these fields, and so could we. When I was a little boy in kindergarten, the children in my class could participate only on one small area of the playground. Elsewhere on the playground, the older kids -- the “big boys” -- got to play. But at BY High, we all got to play with the Big Boys. 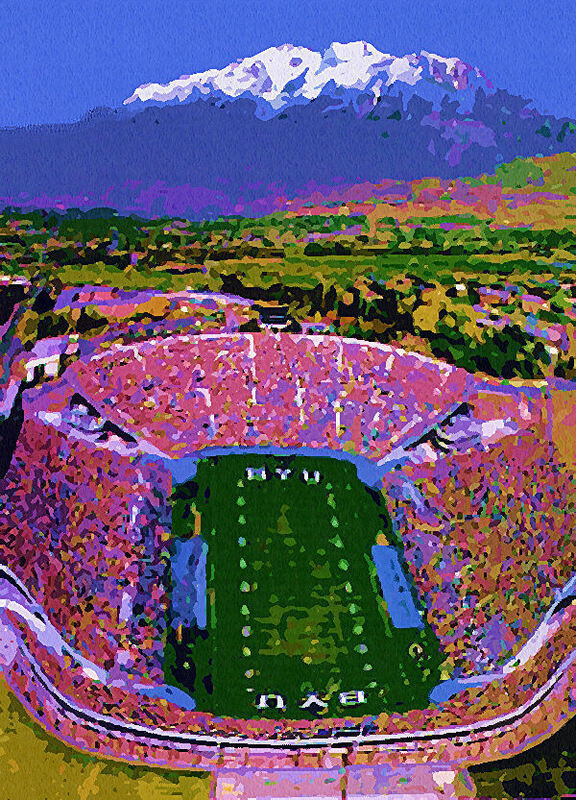 The new Cougar Stadium was a continuation of tradition -- BY High football teams had also played our home games in the original BYU stadium, which was one of the best stadiums in Utah in its day. 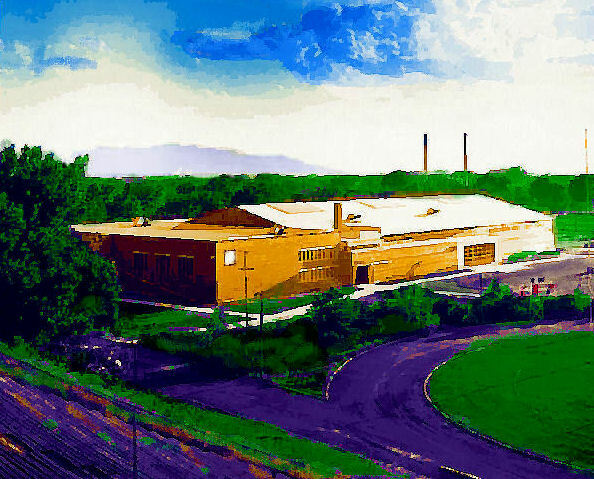 When basketball season rolled around, our high school games were played at the beautiful George Albert Smith Fieldhouse, which opened in 1951. The basketball arena could seat more than 10,000, but for BYH games five or six hundred was adequate. BYH players got to locker in university lockers, and practice around university players. 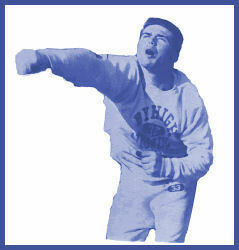 We used BYU weight training rooms and our coaches taught us how to exercise with professional-quality equipment. BY High School's buildings and equipment, some dating back to 1892, represented the oldest facilities in the overall BYU campus. As BYU grew, BY High benefited. University leaders apparently decided that, rather than budget large and expensive improvements for the secondary school program with, as we now know, a limited life span, they simply made all of the modern facilities of BYU available to BYH students and faculty. This was the most cost effective choice. BY High students continued to use the old Women's Gymnasium, across University Avenue from Academy Square, and also the old Men's Gymnasium, on the top floor of the BYU Training (Elementary) School. The athletic fields, baseball diamonds and tennis courts around the Smith Fieldhouse were also available for our use. Game days always found BY High competing in the finest BYU venues. These activities were not restricted to just a few elite students. In a school as small as ours, almost everyone had an opportunity to participate. In the mid-1960's, a Girls' Athletic Association (GAA) was organized, and BY High girls were able to compete in six sports using BYU facilities: basketball, hockey, softball, track & field, gymnastics and volleyball. If there wasn't a place on a varsity or junior varsity team, there were support crews needed on the sidelines, plus students who served as reporters and photographers for the student newspaper, yearbook and local radio stations. In addition, a large variety of clubs provided students with extra-curricular activities. Those activities often connected high school students with BYU facilities and mentors on the university level. The ability to use these athletic and academic facilities had an important impact on BY High School students and teachers. Change from Class "B" to Class "A"
In 1965, the State of Utah reorganized the secondary school programs into new divisions. Prior to that, the state had simply been organized in regions, with large and small schools participating with one another in each region. BY High was in a Class “B” alignment for many years. In that system however, larger schools dominated on a perennial basis, leading to a situation where only schools with the better facilities and large class sizes received the student awards needed for scholarships, and top benefits for furthering education. The state board of education decided to divide schools into the “A”, “B”, and “C” categories based primarily on school population. This would allow smaller schools to develop within their own “small school” paradigm. Educational benefit programs could then be developed that would focus on the needs of schools in each division. Smaller schools could participate with one another and experience the social successes that weren’t available otherwise. 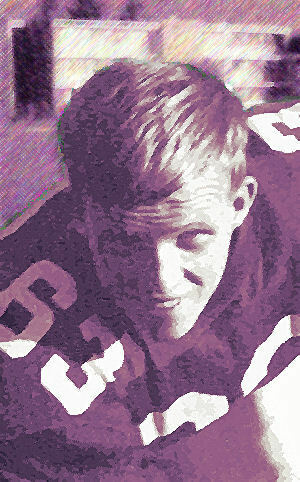 Prior to 1965, BY High was a member of Region Seven in Utah. This region consisted of a variety of schools of different sizes. Some of the schools were too small to assemble teams for football or other sports. In 1962 football competition, BY High played teams from American Fork, Pleasant Grove, Lehi, Uintah, and Union high schools. In basketball, the league consisted of teams from Lehi, Tintic, St. Francis, Pleasant Grove, and American Fork. In 1964, our team also played football against Juab High School, and North Sanpete. With the 1965 change in school divisions, Utah Valley was reorganized into Region Four, consisting of Lehi, American Fork, Pleasant Grove, Orem, Provo, Springville, Spanish Fork, Payson, and Carbon (Price). BY High remained the odd school out in Utah Valley. Most of the smaller schools in Utah were rural schools located away from population centers. BY High was a specialized school located in the heart of one of the three largest urban areas of the state, but its size placed it in either a “B” or “C” category. For BYH to participate with schools of an equal population, would mean dealing with small schools that were fifty to one hundred miles away. By the standards of that day, the distance problem made competition impossible. The cost and logistics for transporting teams on a weekly basis was prohibitive, not to mention moving the student body to attend school athletic activities. Inter-school associations would have been non-existent. To counter the situation, BYU petitioned the state to allow its private laboratory school to participate with the larger public schools of Utah Valley. This would decrease the cost for transporting students and teams, and permit active social relationships. BYU would provide outstanding facilities for sporting events, which would introduce many high school students and their families to the surroundings of a university, and thereby increase public interest in higher education. The proposal was accepted, and BY High, with just over 60 students in its senior class, was admitted into the new state school system as a Class “A” school, in Region Four. Once again we were playing with the Big Boys. You might have expected BY High to be smothered by this competition with large high schools, but in 1967 the BYH basketball team won the Region Four, Class “A” Championship. This realignment of schools affected not just athletic competition, but also speech tournaments and other academic competitions. Playing with the Big Boys had definite drawbacks as well. The social interaction between schools became more pronounced. BY High and Provo High had long been natural rivals simply because of location. Many BY High students chose to move on to Provo High at the 10th grade point because they had good friends among students in the local junior high schools that graduated into Provo High. The 1964-65 school year was the first time in many years that the two schools participated together in football and basketball. Provo edged BY High in their first football game, and then beat BY High in basketball, 61-54. But both teams met again in the highly charged atmosphere of the state basketball tournament, and BY High rocked Provo with a 19-point win, 67-48. It was the highlight of the year for BYH students. 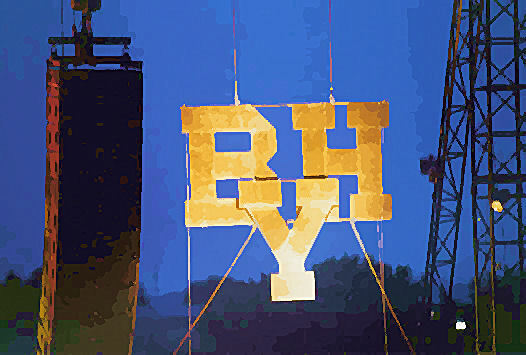 Painting the BYH Beehive gold. 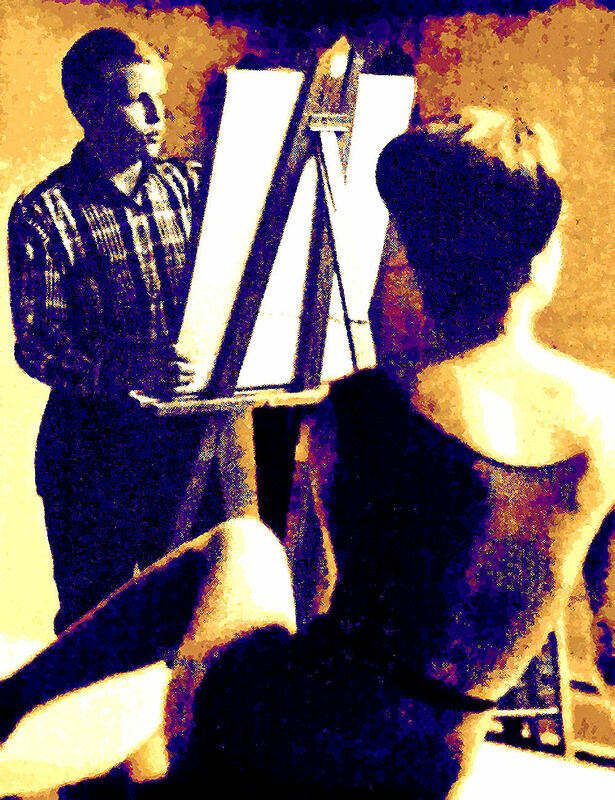 The tensions of rivalry were vented that year in a series of “painting” incidents. The students arrived at BY High one morning to discover that the beehive sculpture in the center of the old cement fountain in front of the school had been painted a bright Provo Green. BYH students soon repainted the beehive white. But the next day it was green again. 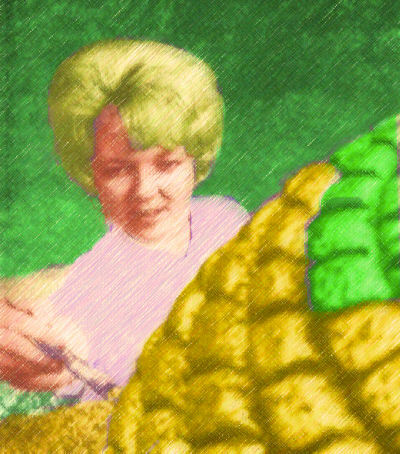 We next painted it gold, but again, dawn revealed a beehive painted by Provo students in green and white stripes. Finally, on the last day of that week, the principal of Provo High discovered a large “BY High” painted across the front porch of Provo High School. Outraged, he called the BY High administration to demand justice. Principal Lowell Thompson invited him over to the school to discuss the situation. When he arrived he discovered the words “Provo” and “Provo High” painted in green in dozens of places all over the building and walks of BY High. This type of school rivalry came to a head the next year when the “initials” of one of the other schools in the region were “salted” into the middle of the grass field at the BYU stadium. The university had to re-turf a whole section of the sod to correct the vandalism. Overall the interaction BY High had with BYU and with the Class “A” schools in its region, had a valuable impact on the every aspect of student life. I know it did for me. As students, we knew we were in a laboratory school. We were guinea pigs for educational studies. We were out of the norm, and yet we were still expected to be normal. We knew we were a small school, but prided ourselves that we were “running with the bulls,” so to speak. We competed with larger schools in sports and scholastic activities, and we were determined to produce our own share of winners. I had the opportunity of achieving state honors in art, while schoolmates of mine received recognition in science, and debate, as well as achieving recognition for their athletic success. Our involvement with BYU also allowed us to attend university devotionals and forums where we could hear prominent Americans when they came to our area. 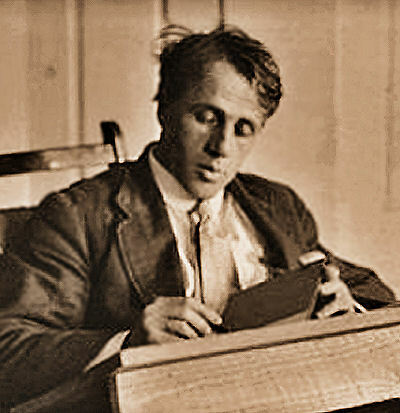 For example, I remember the day the great poet, Robert Frost, spoke and shared some of his verses, and the occasion when the Nobel Prize winning author Carl Sandberg shared his thoughts. 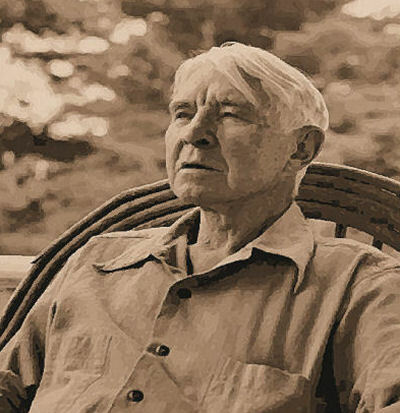 I had the opportunity to shake Sandburg's hand, and soon thereafter I read his great works on the life of Abraham Lincoln. I attended a forum in 1964, where the speaker was William Miller, the Republican running for Vice-President of the United States (with Barry Goldwater). I don’t remember his talk, but I recall how excited I felt about politics because of that experience. Involvement with BYU carried us into the offices and classrooms of many great teachers, and brought them into our classrooms as well. We routinely used the university library. These activities exposed us to surroundings full of hope and possibilities. My days at BY High were pivotal for my life. I was a quiet, passive individual, and at a larger school it might have been easy for me to disappear into the woodwork. But I was at a little school where the students didn’t feel little. We had a great name, and a great history; and besides that, we had the biggest stadium, the biggest library, and we could play with the Big Boys.